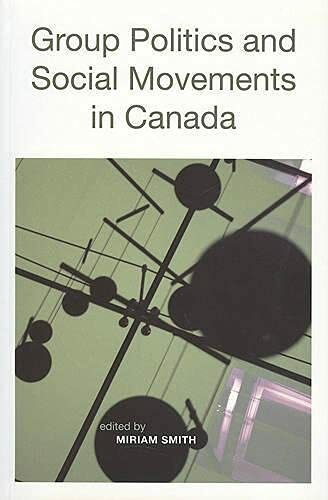 Group Politics and Social Movements in Canada provides a set of case studies that cover a wide range of organized group and social movement activity in Canadian politics. Particularly distinctive is the inclusion of Quebec nationalism and Aboriginal politics as fields of social movement politics. Newer groups that have become more important in recent years are also included: anti-poverty organizing; race, disability, and lesbian and gay politics; Christian evangelical groups; and health social movements. Contributors to the collection employ a number of theoretical perspectives from political science and sociology to describe the evolution of organized groups and movements and to evaluate successes in exercising influence on Canadian politics. The diversity of approaches is one of the strengths of the volume. Each chapter provides an overview of the group or movement along with an account of its main networks and organizations, strategies, goals, successes, and failures. Special Combined Price: Group Politics and Social Movements in Canada may be ordered together with A Civil Society? Collective Actors in Canadian Political Life at a special discounted price. In order to secure the package price, the following ISBN must be used when ordering: 978-1-55402-779-8. About the Author&colon; Miriam Smith is Professor of Social Science at York University. She is the author of Political Institutions and Lesbian and Gay Rights in the United States and Canada (2008) as well as Lesbian and Gay Rights in Canada: Social Movements and Equality-Seeking, 1971-1995 (1999) and A Civil Society? Collective Actors in Canadian Political Life (2005).